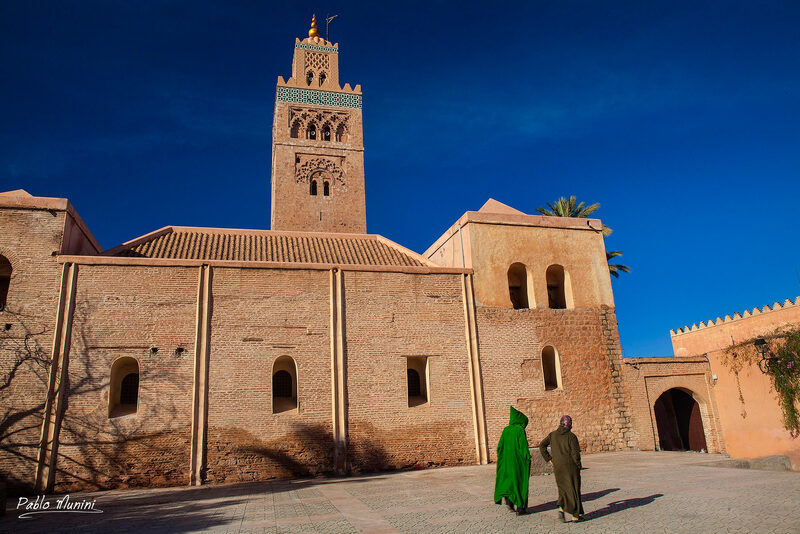 The luminous beauty of the city of the red walls - Images of Marrakesh. Marrakesh Red City.Photography Marrakesh.Morocco travel photography. A long trip from Casablanca on a cold February morning, among ocher-colored mountains and throngs of children who greeted us at every stop, led me to the “red city”. On the ride from the train station to Jemaa el-Fnaa Square, I was swiftly introduced into the atmosphere of Marrakesh. People and flags lined the edges of the road, waiting for the arrival of the King of Morocco who was visiting that same day. Arriving in the Medina, the journey through the corridors of the city in search of the hotel Riad Itrane confirmed, if any doubt remained, that I was indeed in that oasis of exoticism and inspiration that is Marrakesh. At the hotel, Monsieur Phillippe graciously welcomed me as he would a mysterious traveler arriving from a distant land. I was quickly and thoroughly seduced by the beauty and magic of the riad, and the kindness of my French hosts. Then came my first walk with a camera, and my instant infatuation with the place. My senses were beguiled by the red walls and the narrow cobbled streets. I was hypnotized by the vertiginous rhythm, the exotic perfumes and the drumming commotion of the souks. In the labyrinthine tunnels of the Medina, life seems as busy as that of any sprawling modern metropolis, yet held back in time, isolated from the rest of the world by the vast and silent desert that surrounds and protects it. I could spend my whole life roaming the winding passageways of Marrakesh, guided only by my instincts. There is never-ending inspiration for any artist there. The passersby with mysterious veiled faces, and the carts pulled by mules, trick you into thinking you’ve gone back in time, until a motorcyclist flies by in a whirlwind through the small alley and reminds you that you are in the present day. 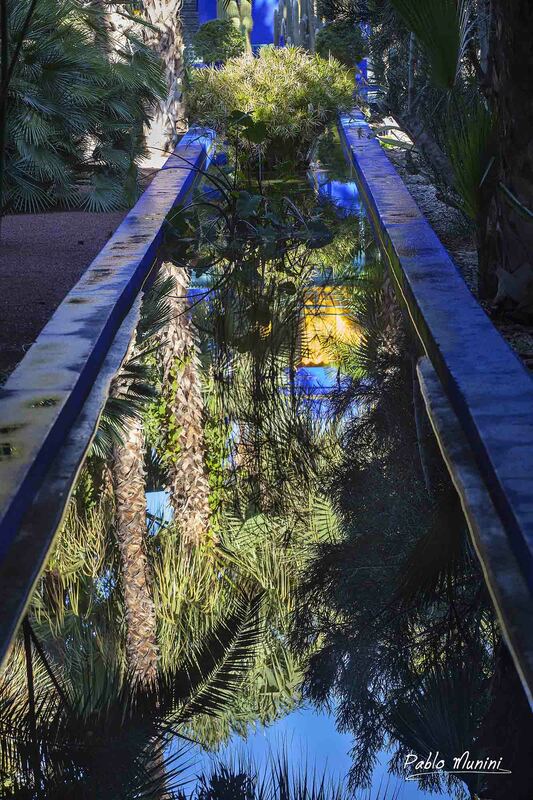 I walked in the plaza Jemaa el-Fnaa, tracing the steps and words of Paul Bowles, and in the Jardin Majorelle I stopped and bowed before the monumental presence of Yves Saint Laurent and Jacques Majorelle. The silhouette the Koutoubia mosque cast in the desert sunset was forever engraved in my memory. The luminous beauty of the “red city” — its eclectic yet harmonious architecture, its audaciousness, its refinement and sophistication, its sensuality, its mystery — Marrakesh has left an indelible imprint in my mind, and has no doubt shaped my aesthetic vision in many ways.